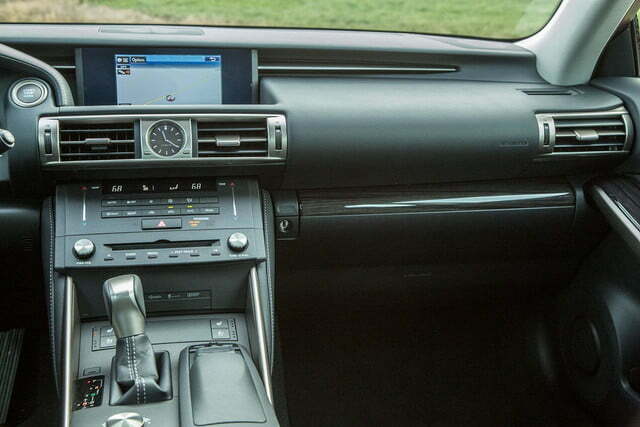 If you want to find yourself in impassioned arguments at dinner parties, get a BMW 320i. 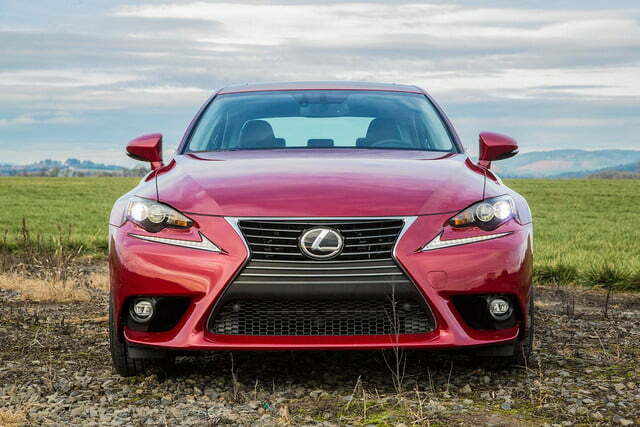 If you simply want to enjoy a great ride, get a Lexus IS250. I don’t know anyone who hates Lexus, although I know plenty who hate its chief competitors: BMW, or Audi, or Mercedes-Benz. 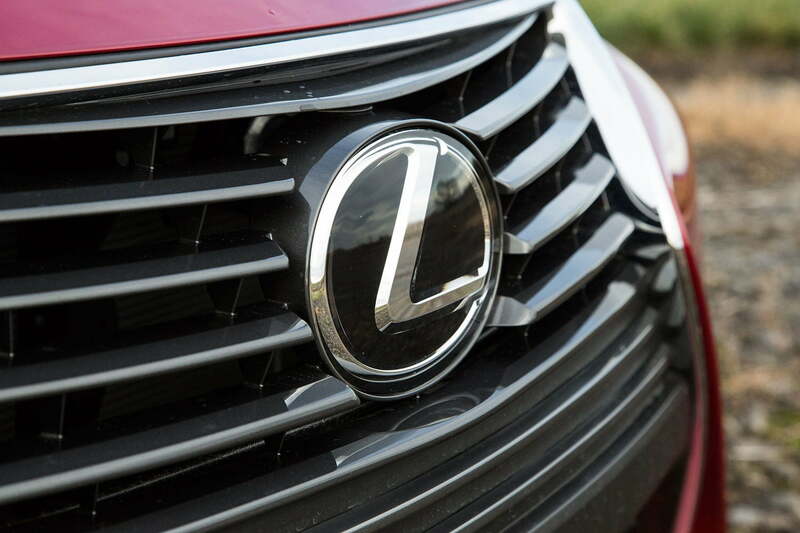 No one detests Lexus — although I don’t know anyone who fervently loves the brand either. Ask anyone, from my fellow automotive journalists to my mother to my dentist, and they all respect and see value in the import luxury mark (granted, some more than others). But none will stand on a table, kick over dinner plates, and shout at naysayers in a heat of fiery passion like a Bimmer driver might. This is both a good and a bad thing, I reckon. While the company isn’t doing anything wrong per se, Lexus isn’t doing it right either. By that I mean, it has no product that makes people excited to be alive. And the 2015 IS250 is the perfect embodiment of this issue. Let’s look at just why that is. I loved this, the new third-gen IS, when I first laid eyes upon it. I thought it both classic and sporty without any pompous pretentions. 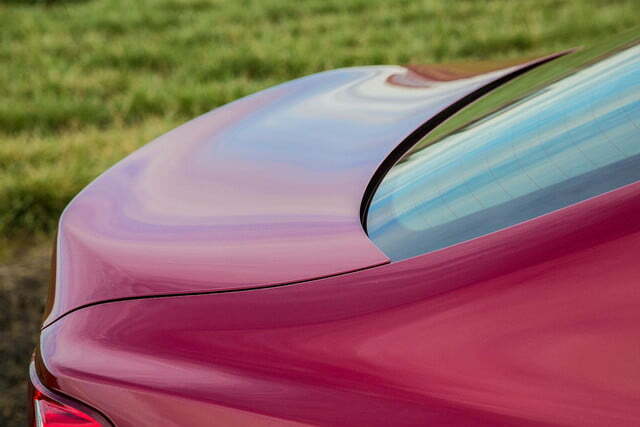 Having sort of ignored it since its unveil back in 2013, though, I’ve lost my fondness for its lines. 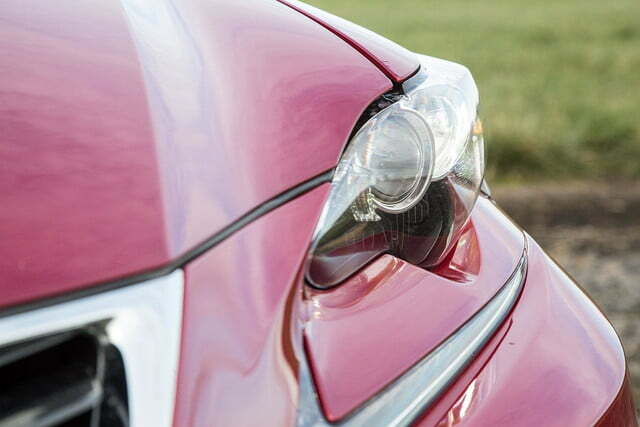 I loved the new third-gen IS when I first laid eyes upon it. Now, when I look at the IS, I’m neither over- nor underwhelmed; I’m simply whelmed. By my estimation, its once red-hot lines have quickly cooled. 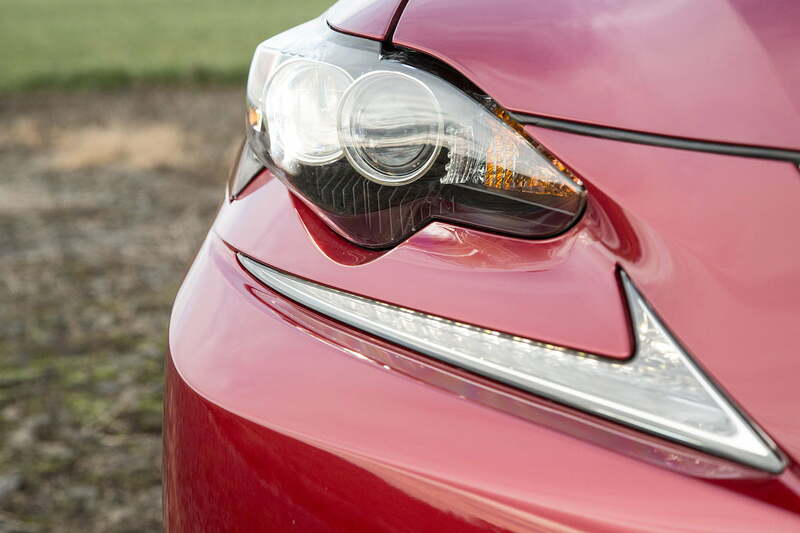 Rather than being a shining star in the segment, it’s just “fine,” which arguably is ideal for Lexus buyers. More about that in a bit. That fineness continues into the interior. 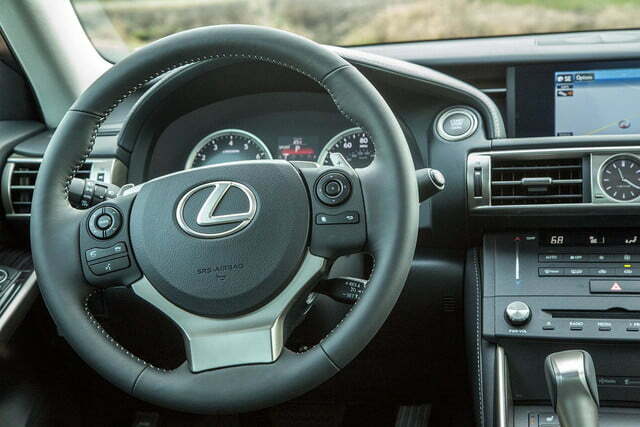 The leather seats are comfortable and I quite like the big, chunky steering wheel. The rest, though, is pretty darn sterile. In fact, some of it is downright retro. Let me give you an example. One evening in the late 1980s, my dad brought home a very high-tech Yamaha stereo receiver. He was proud of his new purchase, the crown jewel in his ultimate, cassette-based sound system for our living room. He lovingly unpacked it and slowly slid it into its space on the TV cabinet shelf. As he wired everything up, I studied the extremely futuristic but Spartan fascia of the cutting-edge electronic. 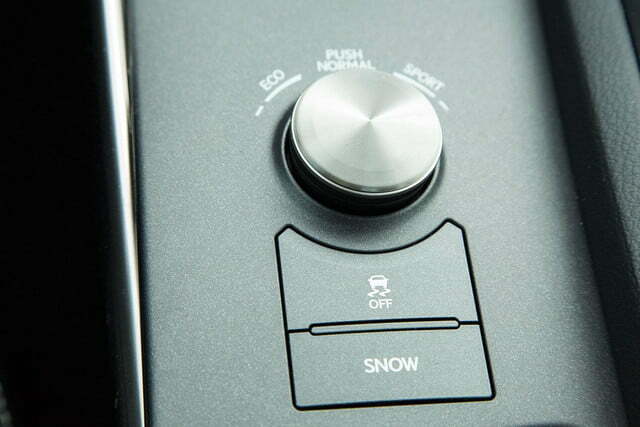 It had a black faceplate with a very small digital readout with white letters, which was accented by small silvery buttons and a few small, brushed-aluminum knobs. It was state of the art design in the late 80s, a look that quickly went out of style in favor of more bold and accessible interfaces. 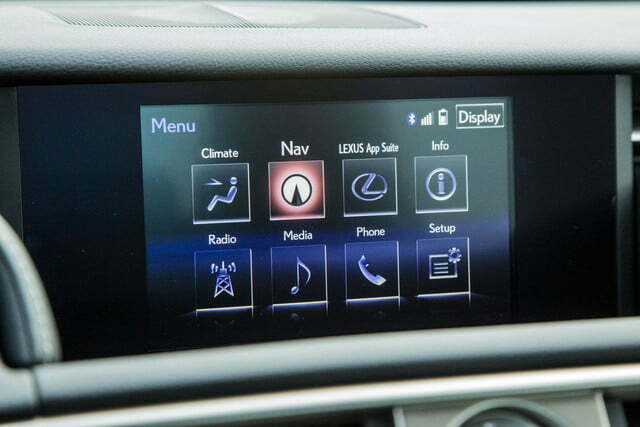 Imagine my surprise, then, when I plopped down into the mid-size Lexus to find nearly the exact same Yamaha receiver fascia staring back at me from the center stack of the IS250. 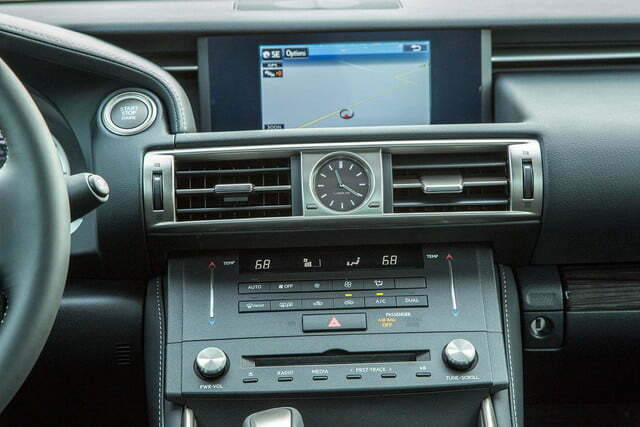 If the 80s stereo motif weren’t questionable enough, it’s topped by a low-res infotainment unit, which is controlled by an awkward joystick-pad thing. Don’t get me wrong, the system works fairly well, and pairing a phone through Bluetooth is relatively painless. It doesn’t have a real luxury feel though, especially next to newer iterations of BMW’s iDrive or the 2015 Mercedes C-Class COMAND system. In short, given its futuristic 80s flare, it’s the kind of interior that Marty McFly would find wildly impressive. 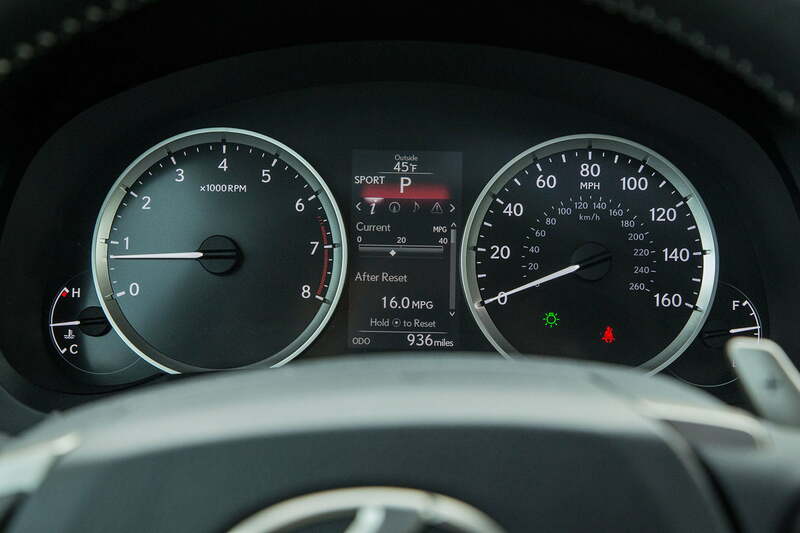 The IS250 AWD is powered by a 2.5-liter V6 that produces 204 horsepower and 185 pound-feet of torque, which is mated to a six-speed automatic transmission. 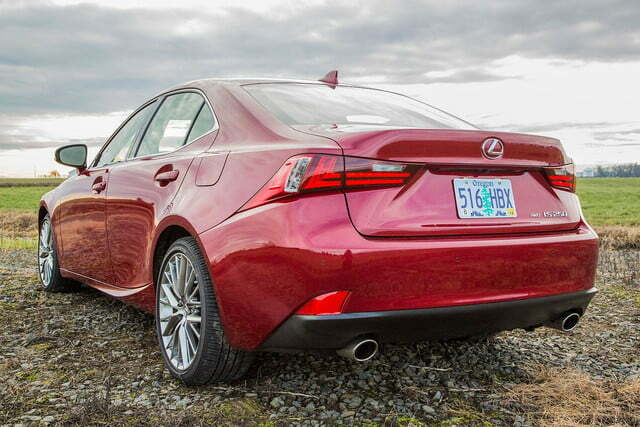 In AWD form, power — unsurprisingly — is routed to all four wheels, rather than just the rear in standard IS250 form. The AWD tackles a 0-to-60 run in 8.3 seconds, while the rear-drive unit does it in 7.7 seconds. And 8.3 isn’t great. 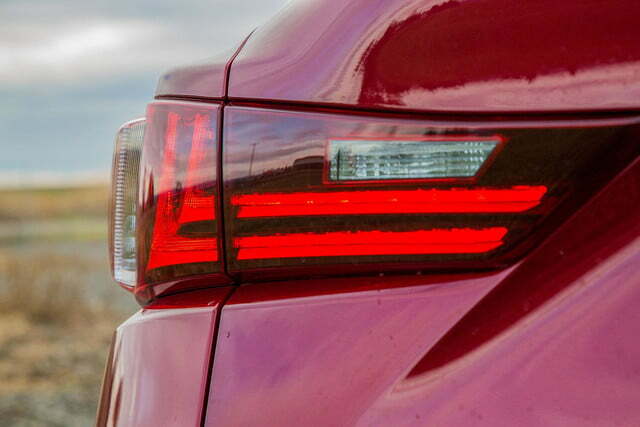 By comparison, the BMW 320i does it in 6.6 seconds. 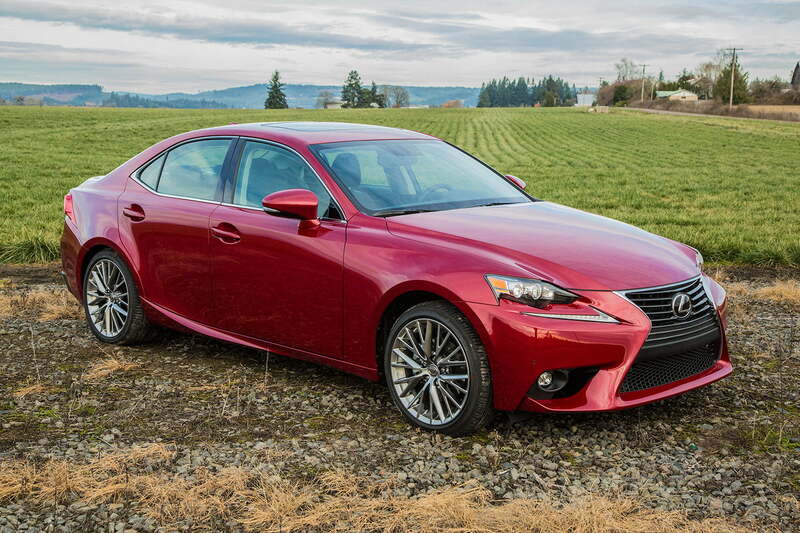 On a spirited backroad drive, the IS250 was fun but not giggle-inducing. 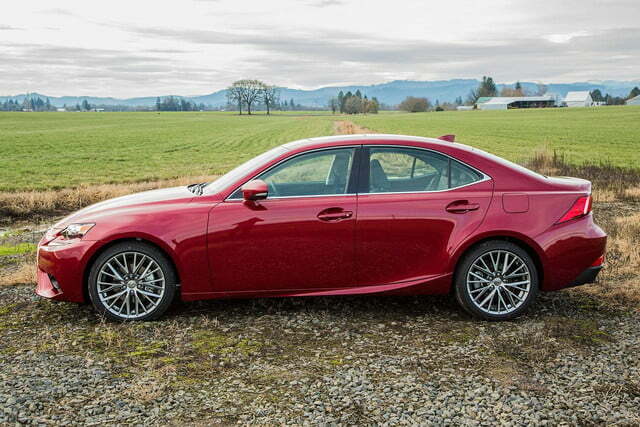 In terms of efficiency, the IS250 AWD is rated at 20 mpg city, 27 highway, with a combined score of 23. 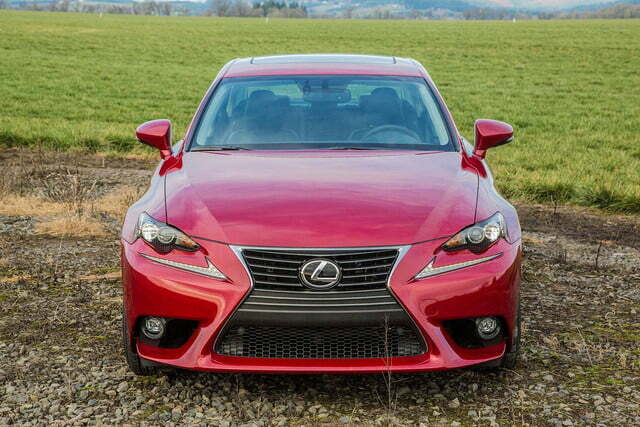 In Normal mode, the IS250 AWD has enough power to please but not enough to wow. In Eco mode, throttle response is retarded enough to make a lead-footer like me furious. That said, I actually found Sport mode overkill, at least in terms of off-the-line acceleration. I don’t mean that the off-the-line acceleration was overwhelming or particularly brutal. Instead, the quick onset of head-jerking torque didn’t hold up over the rev range, as it quickly dwindled to a sluggish buzz. 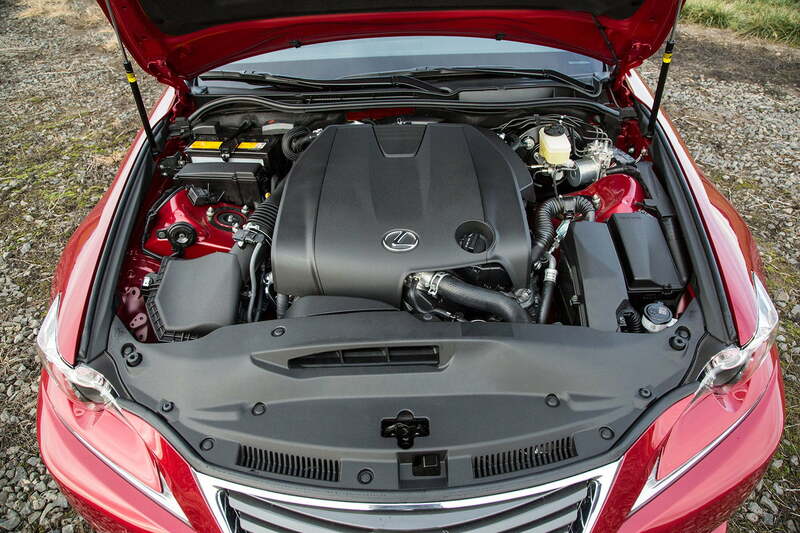 The engine isn’t terribly buzzy, as often is the case with Japanese motors. 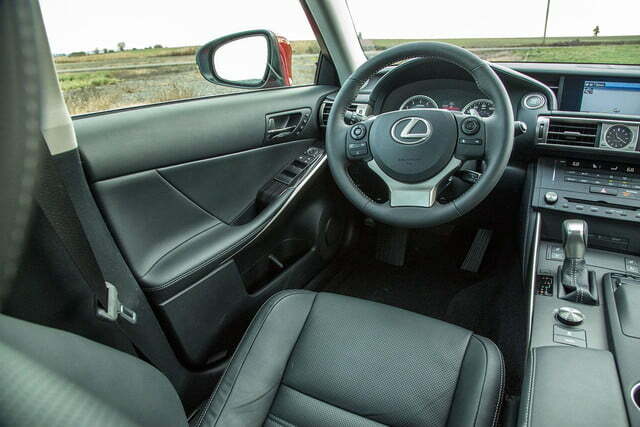 To its credit, Lexus did an excellent job with sound deadening all-round. At higher rpm, though — during highway passing for example — the engine made more noise than power. On a spirited backroad drive, the IS250 was fun but not giggle-inducing. The stiff chassis held strong, as did the suspension, without being overly jostle-y. And when in Sport mode, the power steering was heavy but not overly so. As a 30-something motoring enthusiast, I found the whole chassis very good indeed. I wonder, though, if someone with fewer sporting intentions would find the whole thing so pleasurable. Frankly, I found it near perfection, as it rode that fine line between too soft and too sharp. Granted, it’s not as hard as a BMW 3 Series but it’s a sight stronger than an Audi A4. After a week with the IS, I have very mixed feelings about the car. It drove far better than I anticipated. Plus, I found it very comfortable. And it’ll likely be very reliable indeed. 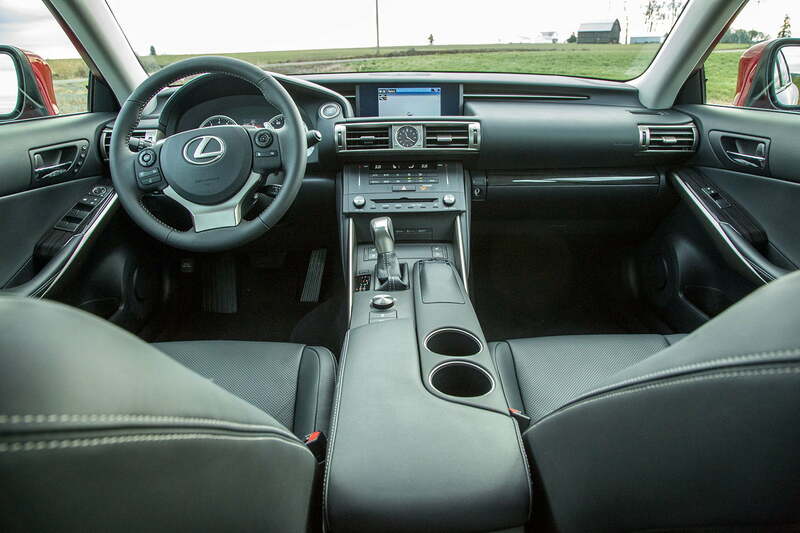 It’s a credit to Lexus, as an overall package, that the IS was more coherent than the Infiniti Q50S … but that’s not terribly difficult. It wasn’t in any way memorable, however, nor did it inspire in me any passion. 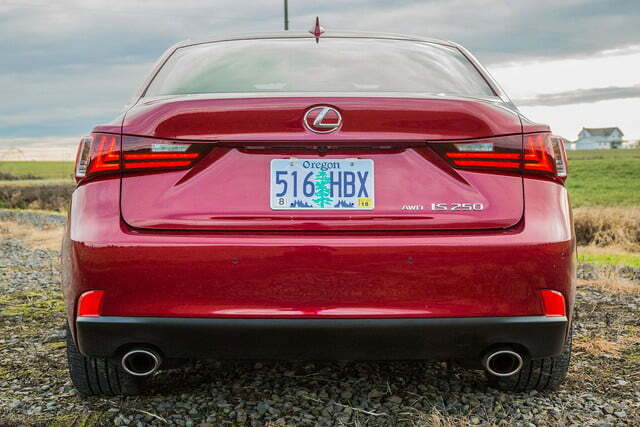 I couldn’t imagine myself defending to the end the Lexus brand’s honor. 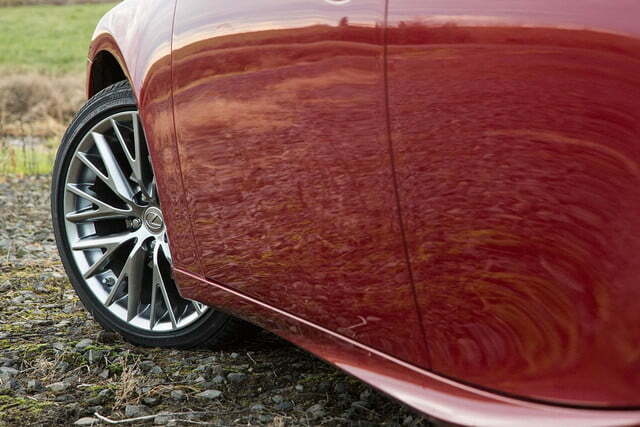 Being memorable isn’t essential for a car to be worth buying, of course … for the right price, that is. What is that price? I’d put it just over the $40k mark. 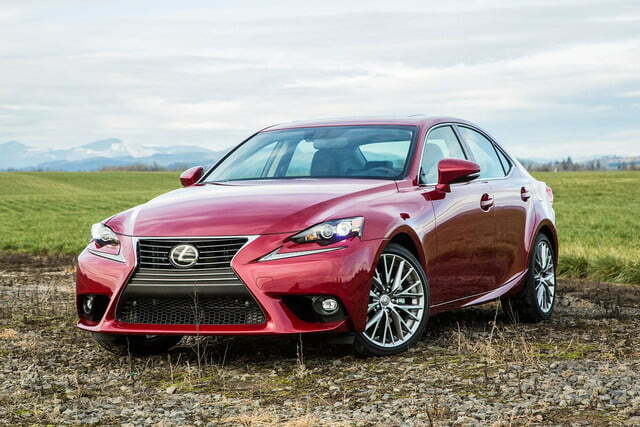 The IS250 AWD I tested clocked in at $46,500. For kicks, I priced out a similarly equipped 2015 BMW 320i xDrive, arguably the gold standard of mid-size sports sedans. 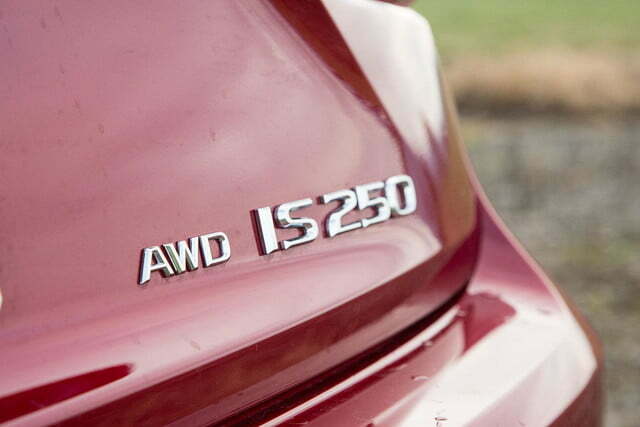 While the 320i has 20 fewer horses, it’s $4,000 cheaper and is rated to achieve far better fuel economy. The benefits of the BMW don’t end there, either. While it handles equally well, it looks better than the IS. BMW has more brand cache as well. 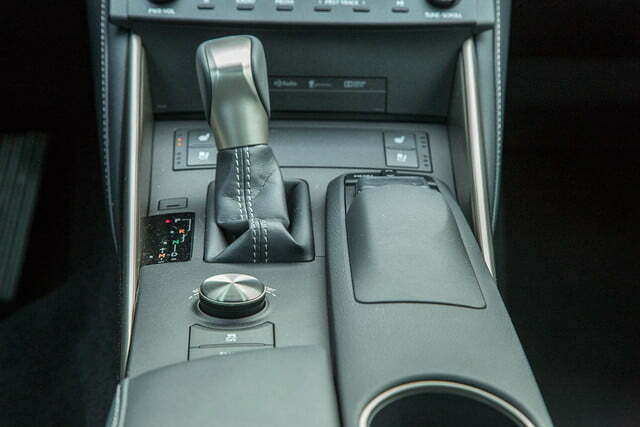 The 320i has two more transmission gears than the IS. 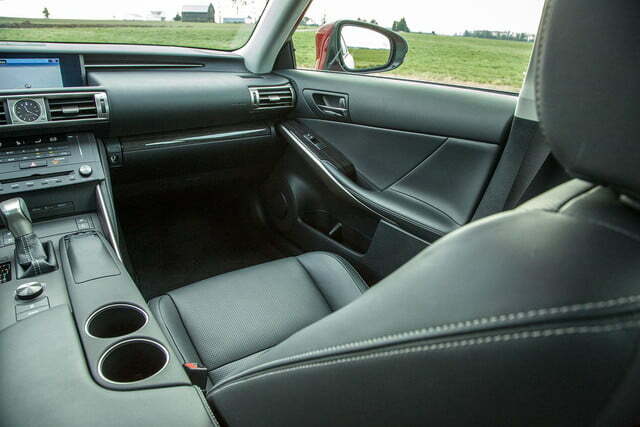 Yes, its interior isn’t as quiet, but it’s far less 80s futuristic. And I think the Bimmer’s turbocharged 2.0-liter four-cylinder is more grin-worthy fun and better sounding than the V6 in the IS. 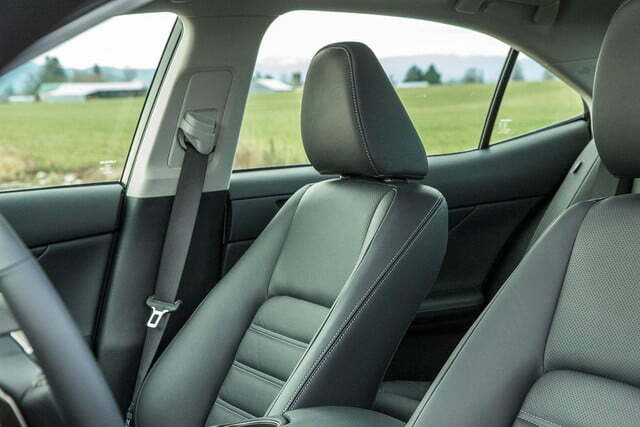 When it comes down to it, if you want a comfortable luxury sedan to get from A to B, get the IS — I won’t fault you. 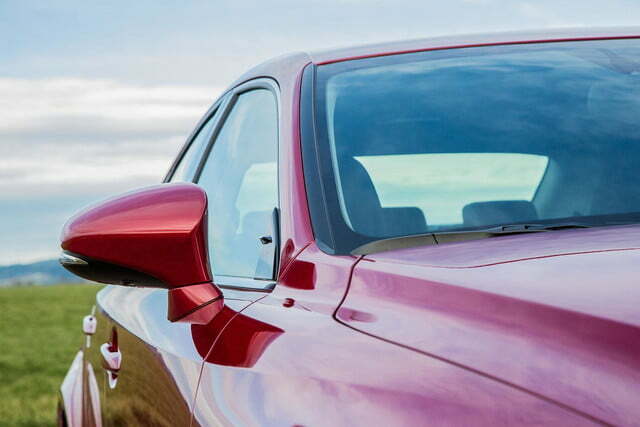 If you want a car that you’ll love and remember for years to come, get the Bimmer. In no time you’ll find yourself standing on your best friend’s dinner table, kicking his chicken cacciatore into his lap because he dared disparage your BMW’s good name. If you got the IS, you’d just nod and smile.